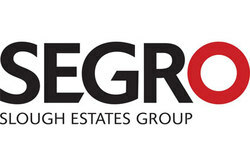 SEGRO is a building and development group with interests in a number of areas, including shopping centres, warehouses, offices and industrial sites. The group, which can trace its origins back to 1920 and is now Europe’s largest industrial development and investment property company. Strong results, financial position and momentum, with a high quality pipeline of growth opportunities. Strong operating metrics supported by good occupational market fundamentals and active management of the portfolio. 43 per cent increase in new annualised gross rent commitments in the half year to £21.5 million. Strong operating and portfolio performance reflects the active management of our assets, positive market dynamics and the strategic repositioning of our portfolio, which is now almost exclusively focused on industrial and logistics properties. Occupier and investor appetite for modern warehouses in prime locations continues to be underpinned by a favourable macro-economic environment, limited supply of new space and structural changes in the nature of consumer demand towards online and convenience retailing. Retailers, parcel delivery companies and third party logistics providers are responding to these changes by restructuring their supply chains, in which modern storage and distribution warehouses in the right places play a vital role. IFRS profit before tax increased to £330.0 million (H1 2014: £226.5 million) and Adjusted profit before tax1 increased to £69.2 million (H1 2014: £66.7 million). SEGRO plc ('SEGRO' / 'Company' / 'Group') today announces its results for the year ended 31 December 2014. "We have made further encouraging progress in the first half of the year, both operationally and with our strategic repositioning programme. We have made significant further disposals, continued to actively reinvest and announced a new joint venture to facilitate the growth of our Continental European logistics property business.